Ladies and gentlemen, boys and girls - the time has come. For the inaugural Thrashville in January this year, the Dashville team was able to snare two bands at the very top of their wishlist - Cosmic Psychos and Hard-Ons. We brought these two mighty acts to our Hunter Valley property and they put on one of the best shows in the venue's history. For Thrashville #2, there was no question about who we had to ask next: the Rhomb. 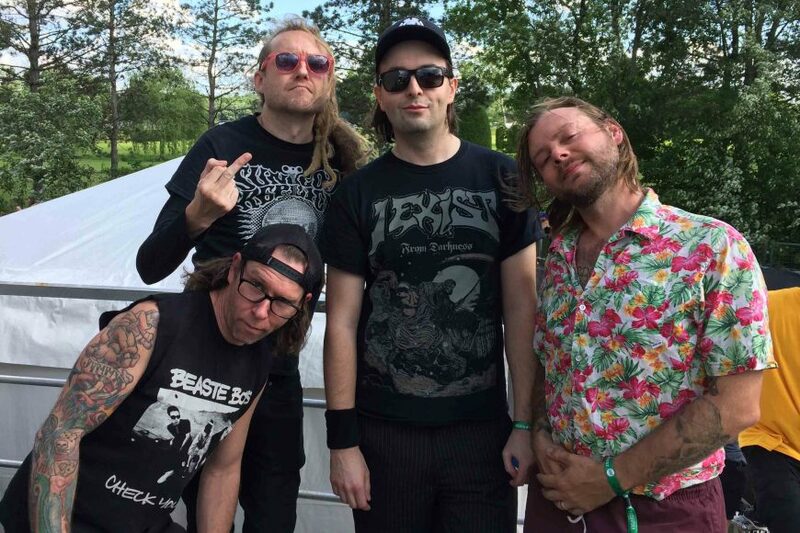 So it is with the greatest of pleasure that we announce that Frenzal Rhomb will visit Dashville in January for what will be a legendary evening. Frenzal Rhomb have been touring in support of superb new record Hi-Vis High Tea, having added another tight and blistering collection to their seminal back catalogue. The full line-up for Thrashville will be announced in early November. Safe to say Thrashville 2018 is shaping up to be a big chapter in Dashville's storied history. Tickets go on sale via Ticketbooth on Friday, October 13, 2017.